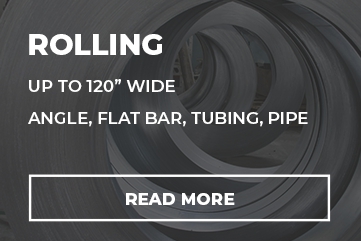 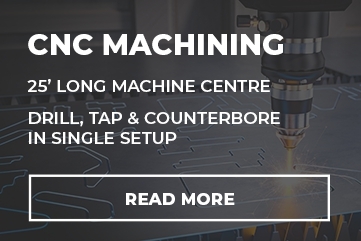 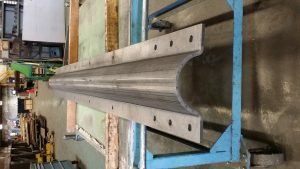 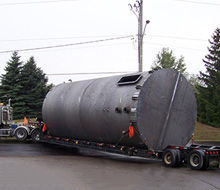 VeriForm has been rolling plate metal for over 20 years, and has been providing top tier services from the beginning. 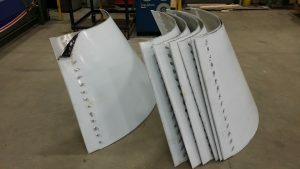 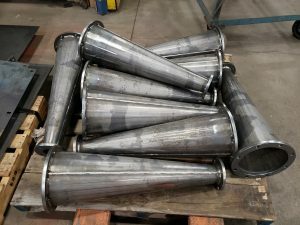 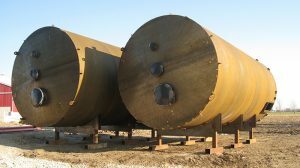 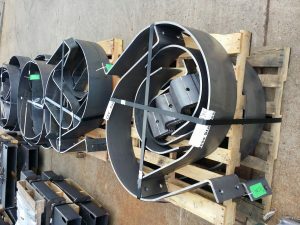 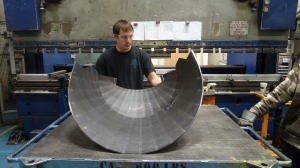 Here are 0.25” thick a572 grade 50 plate cones step formed in halves and welded to 3/8” thick a572 grade 50 flat rings. 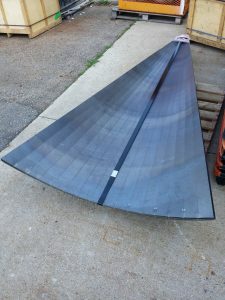 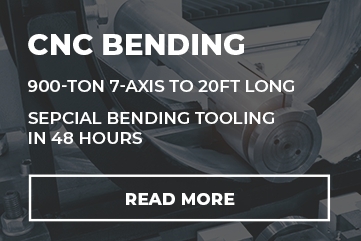 The step forming is spaced at smaller intervals so that the surface is generally round and smooth with minimal flat regions between each tapered bend compared to cones formed with half the amount of step bends. 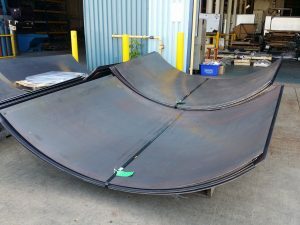 This type of rolling using step bends is a way of forming cones that cannot be rolled on plate rolls.